Alex makes projects and quasi-daily videos, as the lead Hardware Nerd at Hackster – the community for electronics developers. 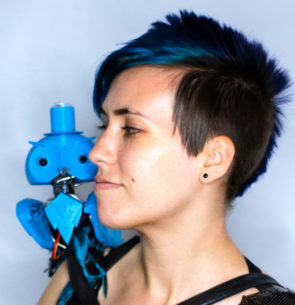 She can be found at events worldwide with her AI-powered robotic owl familiar, Archimedes. Alex grew into hardware as a FIRST Robotics kid, and then a director of the AHA and Noisebridge hackerspaces. Since then, she’s been working on brainwave-powered wings, smart holographic cameras, spacefaring music, modular tech jewelry, and more.